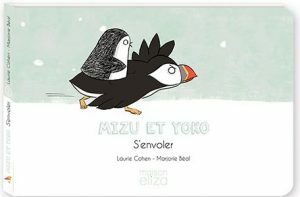 Mizu is a cute little penguin; a little bit awkward, but very touching. 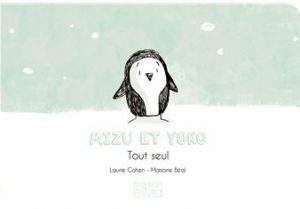 His feeling lonely comes to an end when he meets Yoko, a big polar bear. They become friends for life and from now on share their adventures. Because out there, on he huge empty ice floe, it feels good to have a friend sitting next to you by the fireside.